I apologize for the mix-up but we had to change the time of our Office Hours and neglected to change it in the update that went out this morning. 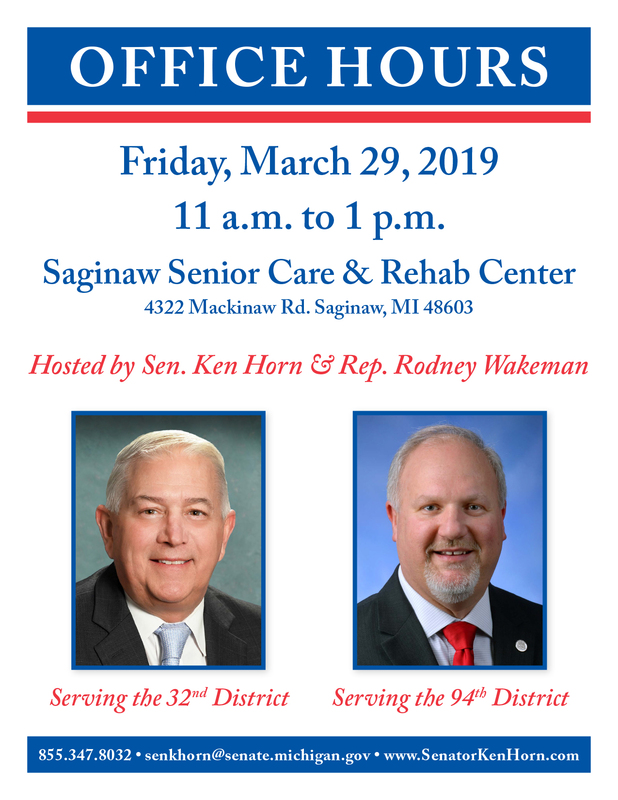 My Office Hours with Rep. Wakeman are still tomorrow at the Saginaw Senior Care and Rehab Center (4322 Mackinaw Road, Saginaw) but they are from 9:00 – 11:00 AM. I hope you’ll be able to stop by and again, I’m sorry for any confusion. 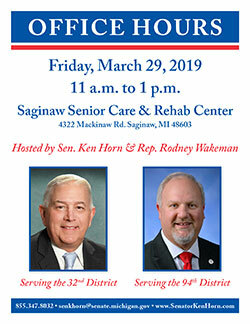 We look forward to meeting with area residents and hearing concerns that any residents of the district may have. Please feel free to drop in. No appointment is necessary.